Hair trimming is one of those things that may cost a significant sum at the barbershop, but can be done at home for free if you have the right tools (and watch a few online tutorials for practice.) Used for cutting, shaving and trimming the hair, your trimmer is an important tool. In all cases, you choose one of a reputable brand that comes with a variety of useful attachments and good battery life. Before making your purchase, you should shop around and do some reading on the best barber clippers and trimmers available; consider the various price points, as well as the budget you are willing to allocate. In this article, we are going to let you in on the top 3 budget hair trimmers on the market today. The Philips Norelco HC7452 7100 is a sleek, stylish device that packs a bunch of privileges. It features titanium blades that call for virtually no maintenance at all, and Dual Cut Technology and a turbo button, further enhancing its performance. The attached comb is conveniently adjustable to 24 different length settings, ranging from 0.5mm to 2.3mm – it is also detachable if you want a really close shave. This trimmer can be used with or without a cord, affording you the cordless freedom to move. When fully charged – which only actually takes one hour – its battery life promises 120 minutes of continuous cutting. In addition, it carries self-sharpening blades that don’t need any lubrication; all you need to do is to simply clean them off after use. The package also includes a cleaning brush for ease. Getting the right blade length for the haircut you are aiming for is very easy with the Sminiker Professional Cordless Rechargeable Hair Clipper Set. The clippers are surprisingly light, and don’t cause much noise. The blades are rust-resistant titanium; they don’t snag much, and require minimal maintenance. It even comes with an extra battery, which has an impressively long life. 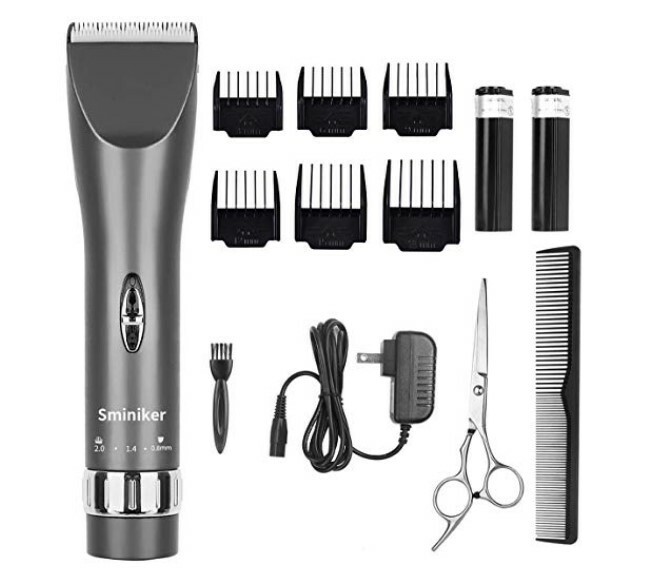 If you decide to go to Sminiker Professional Cordless Rechargeable Hair Clipper Set, you will pay less than what you would for two halfway decent haircuts, and gets an appliance capable of giving you a dozen before it needs new batteries! And as an added perk, it comes in three different color schemes to choose from. 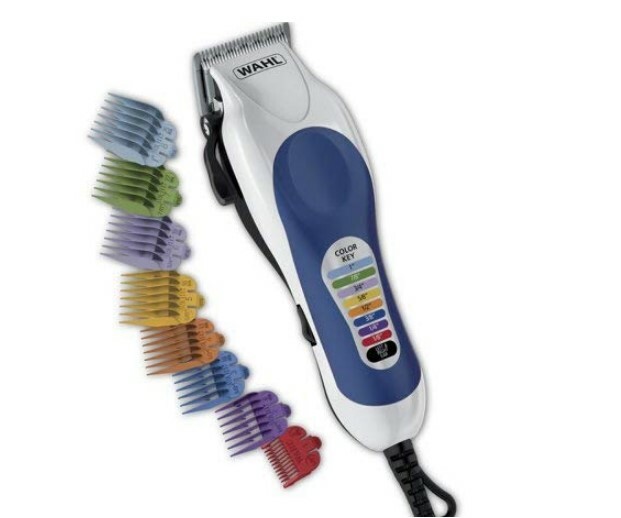 If you just need something easy and simple with some variation, the Wahl 79300-400 Color Pro Haircutting Kit is just the thing for you. This one is very popular because of the capabilities it packs at a price almost equivalent to what you would pay for a single haircut at the barber’s. It comes with convenient colored combs, and a rubberized grip for easy holding. Being on a budget doesn’t mean that you should compromise on the quality of your cut, or the final look you’re getting. 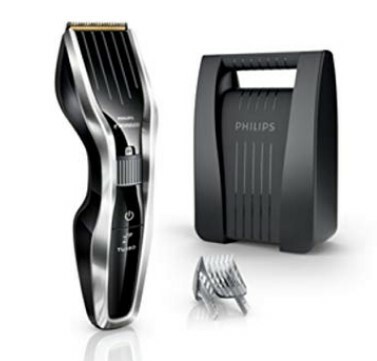 You can still look sharp at minimal cost, and with hair trimmers manufactured by top brands in their fields.